Also: Malaysia in the “foodie” spotlight and sparring senior citizens in Singapore. The Southeast Asian Tobacco Control Alliance (Seatca) released its first-ever “Tobacco Industry Interference Index” earlier this week, in an attempt to educate the public about the extent to which tobacco companies shape the government policies designed to keep them in check. 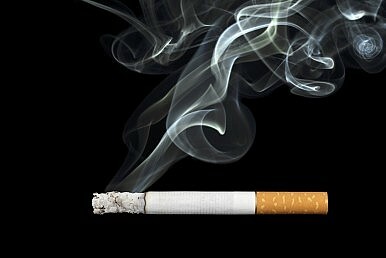 The study ranked seven countries on a scale of zero to 100, with a higher number indicating a larger frequency of disruptions to government programs designed to inform the public about the inherent dangers of smoking. Topping the list was Indonesia – home to Southeast Asia’s largest tobacco plantations – with an interference rating of 78. Malaysia came in second at 72 and the Philippines was third at 71. The country with the lowest level of tobacco industry interference was Brunei (29) – the only country with a score under 50. Brunei was followed by Thailand (51), Laos (61) and Cambodia (68). According to The Inquirer, tobacco control advocates have appealed to regional governments, asking them to refuse contributions from the tobacco industry. While Malaysia might have been rapped on the tobacco issue, Penang was named the world’s top culinary destination by international travel guide publisher Lonely Planet. “The Pearl of Orient beat other top culinary spots like Victoria in Australia, North West Spain, the deep south in United States, Lake District in United Kingdom, Puglia in Italy, Georgia and Oaxaca in Mexico to bag the number one spot,” reported The Star. Lonely Planet’s commissioning editor, Robin Barton, heaped praise on the diversity of Malaysian fare. “Its food reflects the intermingling of the many cultures that arrived after it was set up as a trading port in 1786, from Malays to Indians, Acehnese to Chinese, Burmese to Thais. The state capital Georgetown is its culinary epicenter,” he said. Barton recommended char kway teow, Hokkien mee and asam laksa as the top regional delicacies, adding that the best place to find them is either at the Esplanade Food Center or one of the area’s many open-air night markets. Over in Singapore, a pair of senior citizens are in police custody for starting a fight outside of the city-state’s Glad Tidings Church. According to The Bangkok Post, 80-year-old Lim Song Chong became enraged after convincing himself that his girlfriend was engaged in an affair with her 65-year-old landlord. Lim allegedly threw a 20-centimeter kitchen knife, and umbrella, a pocket knife, and a pair of scissors at his perceived rival – who in turn threw a fire extinguisher at Lim.